Mikey Swearingen and the crew's bowl blaster. The craftsmen at Mervin MFG. love skateboarding and building / riding the world’s best boards. 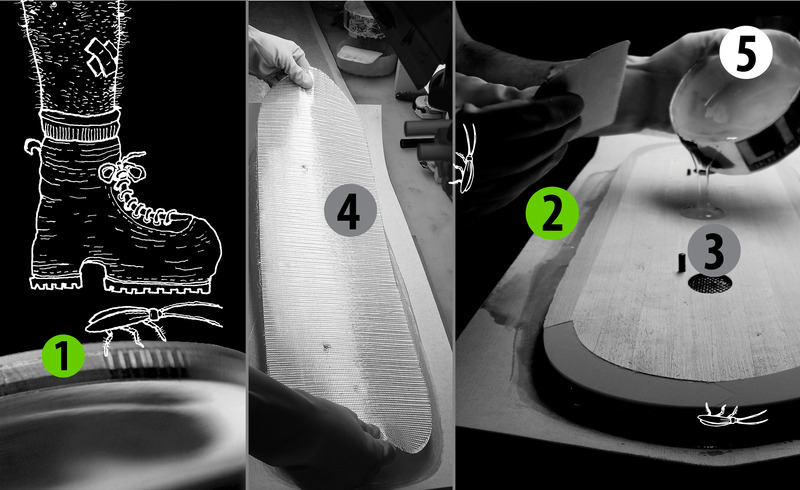 Lib Tech skateboards and Cockroach construction are the result of 30 years of composite experimentation and testing. Our skates are radically different than any other skateboard on the market. Built in the USA one at a time by skateboarders using 52 strategically selected components, each board is like a giant cockroach with a tough unsquashable “exo-skeleton” on the outside that includes a poppy fiberglass spine and softer, light, poppy wood encased inside. All 52 components are hand laminated and fused together under heat and pressure using a rugged poppy safe to use low VOC epoxy resin system. 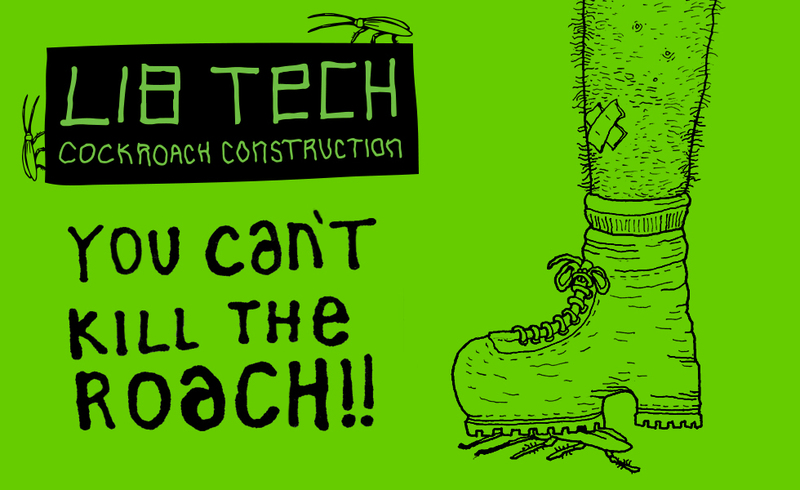 Cockroach construction is the longest lasting, highest popping construction money can buy…when it all ends there will be two things left on earth… cockroaches and Lib Tech skates. 8.8" 32.75" 15" 7" 7.25" 7/16"